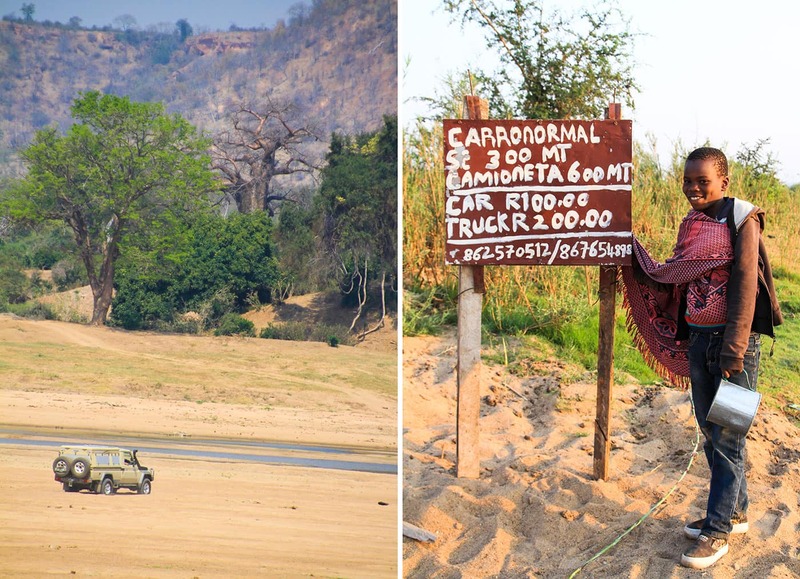 Our Mozambican itinerary would eventually take us to the palm paradise of Inhambane, but to get there we were taking a circuitous route that included two Zimbabwean destinations: Gonarezhou National Park and the Vumba Mountains in the eastern highlands. 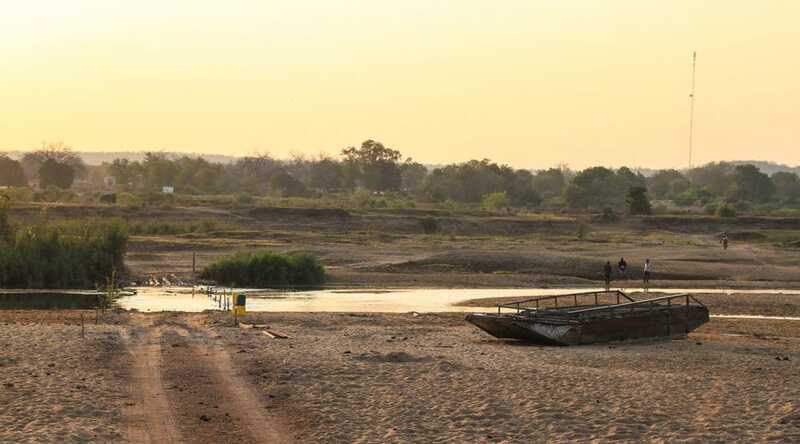 Unless your final destination is southern Mozambique – both for the fishing and copious amounts of R&R – travellers coming from either the Kosi Bay or Komatipoort border posts in South Africa usually look for an overnight spot on the far side of Maputo. After disembarking from the Catembe ferry to cross the Maputo Bay Estuary, it took us 45 minutes to exit the city via the western route. Unlike the eastern route via the marginal with its plush apartment blocks and shopping malls, the western route is not quite a bypass. 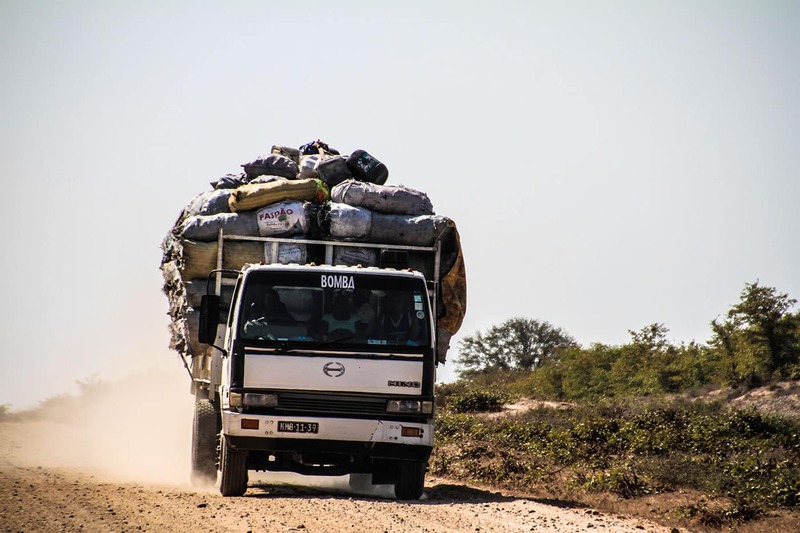 It does avoid the Maputo city centre, however, so it gives you an interesting glimpse of how the man in the street, women in vibrant cloth and boys selling cashew nuts go about their business. Having already exchanged money, initially while waiting for the ferry and thereafter at a fuel station, we headed straight for Marracuene and from there across the causeway to Macaneta. 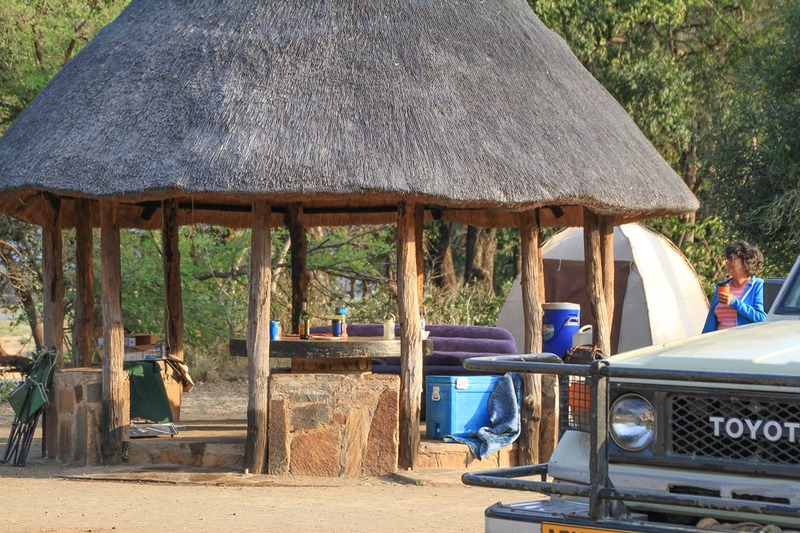 The campsite at Roelize Lodge is small, but the thatch-and-timber island style facilities are great. It’s a stone’s throw from the postcard beach, the restaurant and pool are vibey and the ablutions quirky, with both open air and covered hot showers. There is a brand new Kawena store at Marracuene where you can stock up on food, supplies and hardware. Another highly recommended camping option – if you have a few more hours of daylight – is to continue on the EN1 to Macia and then coastwards. If your shopping is still not done, it’s worth noting that there is a Shoprite at Manica, and Macia has both Kawena and Usave stores. From there take the turnoff to the sun, sand and salt air of Bilene. Our destination was Laguna Camp, which is a campers’ delight with huge stands, each with private kitchen and ablution facilities. Our stand had a gorgeous view over one of the five blue-green lagoons that make up this popular holiday resort. We drove north on the old tar road from Macia to Chokwé, leaving the EN1 behind. The surface was not terribly deteriorated, the potholes were not too bad and in no time at all we found ourselves in Lionde. Our treat was to spend 250 meticals on a proper wash for the Cruiser. We relished the good tar until far beyond sprawling Chokwé where we had our first sightings of baobabs. It’s a long stretch to Mapai, through mopane veld and then thorn trees. The gravel surface is in fact disintegrated tar and the track alongside is often a better option. Taking our cue from the coal trucks (the only other traffic), we weaved onto the side track whenever we tired of playing dodgems with the potholes. After 85km of this to-ing and fro-ing on parallel roads, we were ecstatic to find good tar, vastly better than the EN1, and the last 90km to Mapai just flew by. This is a lonely part of the world and for peace of mind single vehicles should have a satellite phone. 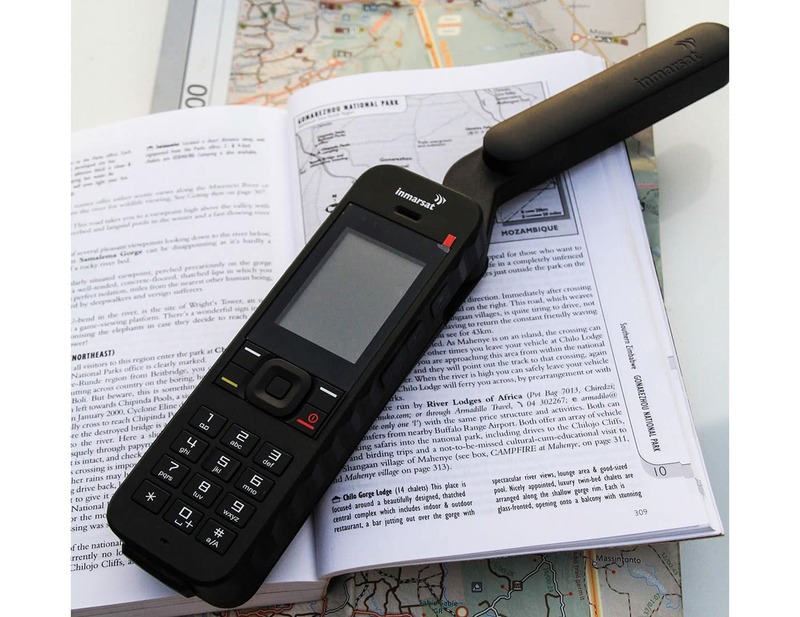 For dependable connectivity in the most remote locations, we travel with the powerful little IsatPhone2 from Inmarsat – supplied in South Africa by Globecomm. It is simple to operate, with high voice quality and reliable call stability. Just in case you need to be reachable from home, you can leave it switched on in your vehicle (160 hours of standby time) and receive notification of inbound calls even with the antenna stowed. 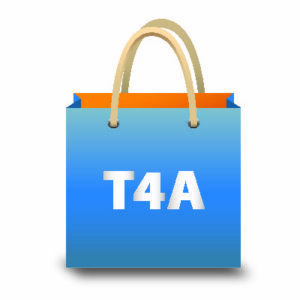 A tracking and assistance button keeps people updated of your GPS coordinates when it matters. It was Saturday afternoon as we drove into Mapai and most of the locals were congregated alongside the soccer field. 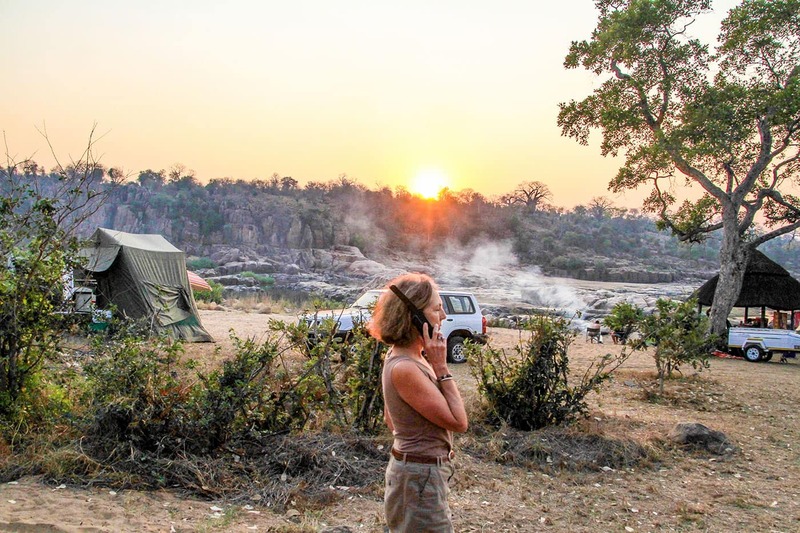 We had no luck finding a safe campsite despite stopping to ask at the police station and the fuel pump, so we set our Tracks4Africa destination as the Limpopo Transfrontier Park. The 25km to the gate is a tortuous drive on eroded soil, but fortunately the Limpopo was almost bone dry and we crossed it easily. The only hiccup was the community boom, manned by Rodgers, who spoke excellent English. To have it lifted we first had to fork out 300 meticals, he explained. No way, we complained, and when he heard that we wanted to come back early the next morning, he promptly discounted the toll fee to 400 mets “in and out”. What could we say? From Mapai it took an hour to the Zimbabwe Chicualacuala/Sango Border Post. All the officials on both sides were courteous and friendly, no vehicle searches, no hassles whatsoever. Another hour later we arrived at Mabalauta Park Office in Gonarezhou National Park, to pay our Zimparks fees: conservation US$8 per person per day, camping US$12 pppd and vehicle US$2 pd. From there it was a long and mostly boring drive: 3 hours and 15 minutes through dusty mopane veld to Chinguli, one of the most beautiful campsites in the park, where we joined up with our friends. 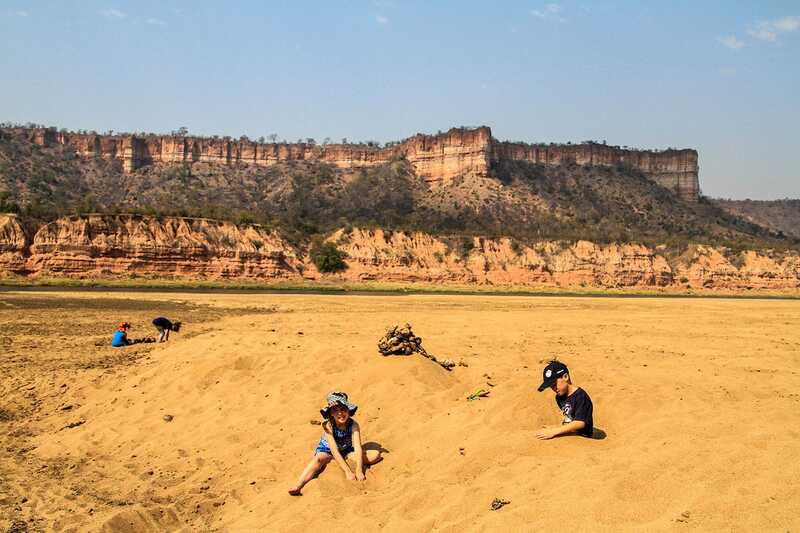 Gonarezhou is a favourite of the T4A community, we realised, as the maps guided us expertly through minor and major explorations over the next two days, including the iconic Chilojo Cliffs and Chipinda Pools. We found more game than we bargained for and loved the unfenced rustic camps with their thatched gazebos. In short, we too surrendered to the park’s charms, mainly for its wildness and incredible beauty. Now in its second edition, the Tracks4Africa Mozambique and Malawi paper map is the largest available map of these two countries. At a 1:1,000,000 scale, it gives a large view of roads, both major and minor, tracks and trails included. Pins indicate distances and travel times, making this map an indispensable tool for planning. Hi. An adventurous and interesting trip and thanks for making the effort to write it up. I see that you stayed at a village called Lionde near Chokwe. Is there a campsite there? Also would like to hear about the rest of the route via Vumba.